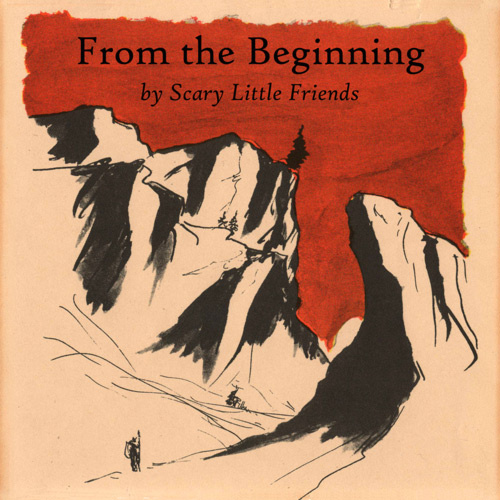 Scary Little Friends is a folky psychedelic rock outfit straight from the Mission in San Francisco. From the Beginning encapsulates a beach tinged adventure with friends and we can’t stop listening! “From the Beginning” is an album that was written and created before the band existed. The theme of the album is starting over again in life after losing loved ones, falling short of your dreams, and watching friends struggle through recovery from drugs and alcohol. It is based on actual experiences in Chris’s life. As these songs were slowly heard by friends, many people found that the new songs were something special and clearly the best of his long songwriting career. After hearing a rough mix of the album for the first time in early 2013, Jon Payne knew he had to be part of this project, and approached Chris about his desire to play music with his old friend again. The timing was perfect as Chris had regained the desire to perform himself. Soon after, Jon invited Pat Blizinksi (Brynn Loosely & the Back Pages, Dave Mulligan Band) to play keys, and with Chris’s veteran drummer, close friend, and staple of the San Francisco music scene, Charlie Knote rounded out the current lineup of Scary Little Friends.